Locking out OpenWRT and DD-WRT is the easiest way to comply with new FCC rules. With the Federal Communications Commission being criticized for rules that may limit a user’s right to install open source firmware on wireless routers, we’ve been trying to get more specifics from the FCC about its intentions. Despite an FCC guidance to router manufacturers that seems to ban open source firmware such as DD-WRT and OpenWRT, FCC spokesperson Charles Meisch told Ars that there is in fact no such ban. But there are restrictions that in some cases could cause a manufacturer to decide to prevent the installation of third-party firmware. In fact, disabling the installation of third-party firmware by the user may be the easiest and most straightforward way for hardware makers to comply with the FCC's guidance. That guidance specifically requires manufacturers to prevent user modifications that cause radios to operate outside their licensed RF (radio frequency) parameters. The goal is to prevent interference with other systems by making sure devices only work within their allowed frequencies, types of modulation, and power levels. The FCC said its actions are meant to address “interference with FAA Doppler weather radar systems caused by modified devices” and other potential interference problems. Manufacturers could choose to achieve compliance by simply locking out any kind of third-party firmware, the FCC acknowledged. “Manufacturers could choose to ban software mods, but if they have a different solution that achieves the same end (preventing RF mods that take the device out of compliance) that would be acceptable,” Meisch told Ars. Software like DD-WRT can change the transmit power of a router, but it can also perform other functions that don’t affect the router’s compliance with radio frequency rules. Many customers install free, open source firmware on routers to get a better user interface and functionality than what is provided by the hardware vendor. Free software proponents argue that the third-party firmware is updated more often than vendor-supplied firmware and thus can be more secure. The FCC is considering additional rule changes that could further restrict router modifications, but the most immediate cause of concern in the open source community is a guidance released in March that describes how manufacturers should comply with new security requirements for devices that operate in the 5GHz band. The new requirements were voted on last year and took effect in June this year. While that sounds like a ban on DD-WRT and similar software, FCC officials say it must be viewed in context of the rules and the rest of the document, which talk extensively about preventing modifications to radio frequency parameters. The rules do not specify what technical method manufacturers should use to secure devices against interference-causing RF changes, nor do they require manufacturers to render devices inoperable if third-party software is installed. In its rulemaking last year, the FCC noted that Motorola's 5GHz devices already have "features that prevent operators and users from programming them in ways that conflict with their granted equipment authorizations, such as disabling DFS [dynamic frequency selection]." In practical terms, what’s important is how vendors are responding. The FCC told Ars that so far, no vendors have interpreted the guidance as a ban on third-party firmware. 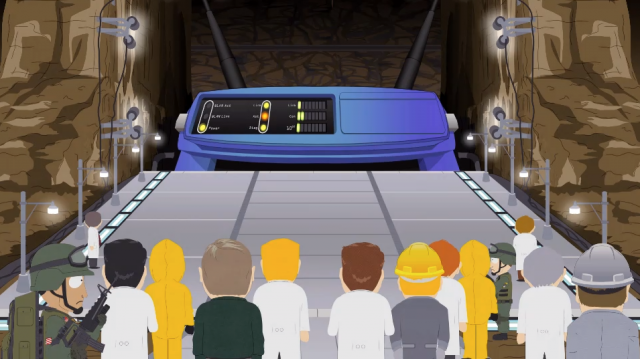 The DD-WRT reference is understood to mean that “an applicant seeking to certify a 5GHz Wi-Fi router would have to ‘describe in detail how the device is protected from ‘flashing’ and the installation of third-party firmware such as DD-WRT’ that would modify the RF parameters in a way that would take the device out of compliance and cause harmful interference,” the FCC told Ars. Users of open source software are skeptical. They point to recent software updates that appear to prevent loading of third-party firmware on some older routers. Those routers would have gotten certifications prior to the FCC rule changes, but it's possible that hardware makers would still lock them down in order to comply. While the security requirements that took effect in June this year applied only to newly certified devices, hardware makers must stop selling older routers by June 2016 unless they meet the new rules. Eric Schultz, community manager at the Prpl Foundation and a free and open source software advocate, believes that the FCC is making it very difficult to install third-party router firmware despite having "the best of intentions” as it tries to protect the radio spectrum. The FCC is accepting initial comments on its proposal until October 9 and reply comments until November 9. Proponents of open source router software have been submitting comments to the FCC urging the commission not to lock out third-party firmware, and the FCC could change course when it issues final rules. A senior FCC official who spoke on condition of not being named told Ars that the commission believes a majority of devices are capable of locking RF parameters while still allowing third-party firmware. But the purpose of seeking public comment before issuing final rules is to identify potential problems before they take effect, the official said. Linksys has previously touted its support for open source firmware. Before Linksys released its WRT1900AC device last year, the company provided early hardware along with SDKs and APIs to the developers of OpenWRT so they could make firmware available for the router upon its release. D-Link and Netgear declined interview requests, and we were unable to get an interview with Asus. We did talk to Senior Product Manager Kathy Giori at wireless chipset maker Qualcomm Atheros, who said there are reasons for both pessimism and optimism. Giori, who has collaborated with the open source software community, said router makers have been contacting her for guidance on the FCC’s new treatment of third-party software. Giori said it’s technically possible to prevent modifications to RF characteristics while still allowing third-party software changes, similar to how an Android phone can be flashed with a different version of the OS without altering cellular and Wi-Fi functionality. It will take cooperation among open source software developers, hardware makers, and the FCC to ensure that routers maintain compliance with radio frequency parameters, but such cooperation isn’t unusual, Giori said. “The current regulatory domain infrastructure in the Linux kernel was coordinated closely with the FCC,” Giori said, noting that Linux PCs can be turned into wireless access points with the right hardware. A router maker could also partner with an open source project on a one-off basis, for example to build a version of DD-WRT that’s validated for a particular router, she said. But one-off solutions won't scale easily. Giori is worried about businesses that make their own custom firmware for privately operated Wi-Fi hotspots and other devices. So-called “Internet of Things” devices that rely on custom implementations of open source firmware could also be affected, she said. Giori believes a compromise that pleases both the FCC and open source users is possible, but it will be difficult to work out. "It's a very hot topic and nobody has all of the answers," she said. Jon Brodkin / Jon is Ars Technica's senior IT reporter, covering the FCC and broadband, telecommunications, wireless technology, and more.